Fine Shred. 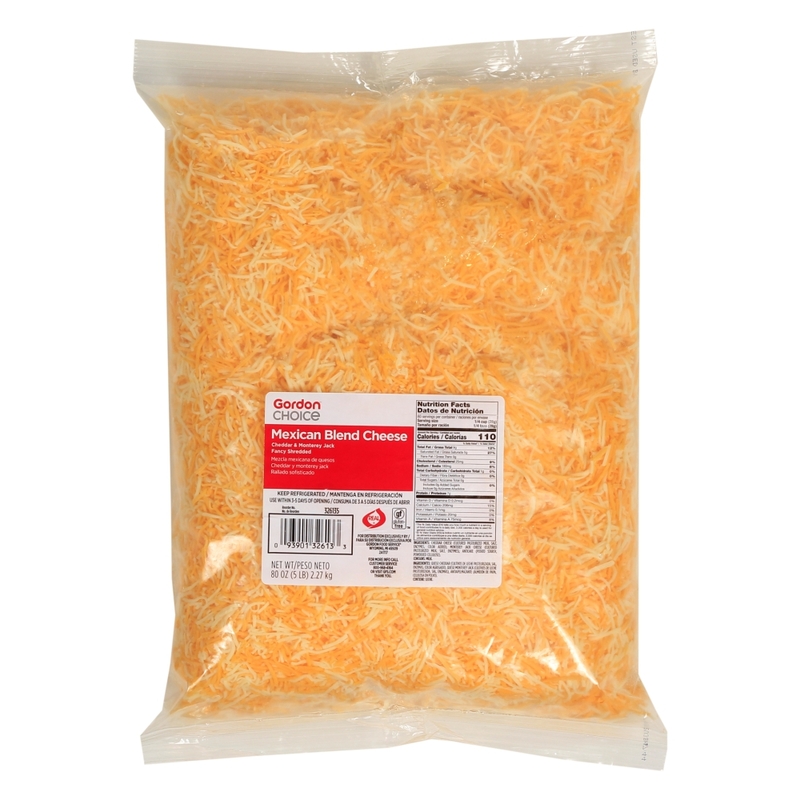 Blend of 50% mild Cheddar and 50% Monterey Jack cheeses. 5 lb. bag.